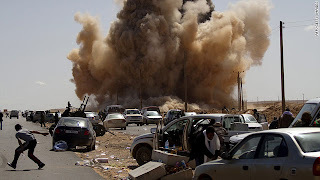 Its not more than a month when Protest in Libya Against Dictatorship of Muammar Gaddafi Started and within one month United States along with other Nato Allies launched an attack on Libya with Approvement of United Nations. 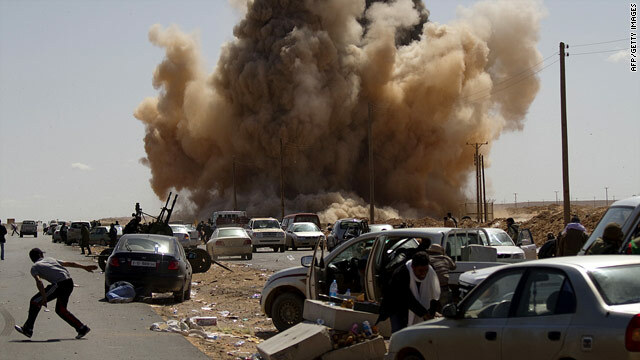 US Claimed We are doing this attack for the Freedom of Libyan People. This attack on Libya has one again exposed the Double Standards of United States and United Nation. US and UN came in action within a month of fight in Libya but they are not ready to take single step in matter of Palestine or Kashmir. Millions of Palestinian are killed till now by Israel in last 6 decades and Israel's Geographical size has expanded five times as compare to size at time of its creation by occupying more and more Palestinian land . Why US and UN not takes action on this issue? Why they are Silent on Kashmir issue where unlimited Human rights Violations are done? Why UN not done anything when US was attacking Iraq?? The Reality is that US and UN Keeps double standards. They do everything for their own benefits and not for benefit of Humanity. US is Invading one Muslim Country after another and there is no one to stop it. One last thing i want to say is that Nato Invasion In Libya Will turn Muammar Gaddafi into a hero not just in Libya but whole Muslim World.